Aspiring cadets and seamen are always fascinated by the way a Merchant Marine Officer dress ups in his uniform, hence I would like to present a better picture of various uniforms in trend in history as well as in modern times. Uniforms display rank and are a source of pride for their wearers.Many members of the Merchant Navy were never required to wear a uniform. Uniforms came into popular culture of Merchant navy when large shipping companies which carried passengers started using systems of stripes and badges. 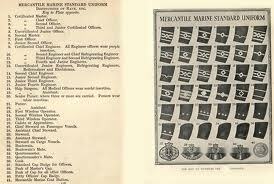 These helped to identify crew from passengers, officers from seamen or ratings, as well as encouraging discipline, this was the birth of Merchant Navy uniforms in Britain and part of Europe. 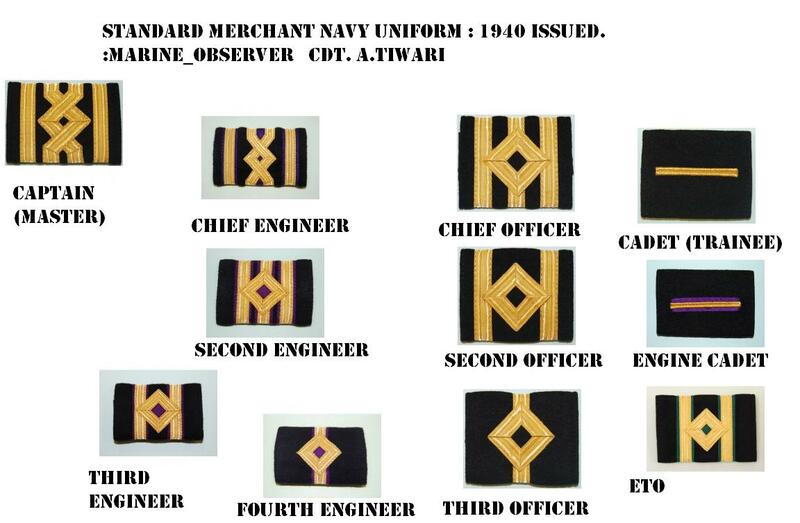 In India till date we are using the same Merchant Navy cap badges that were issued in 1940,In great Britain.However the official uniform insignia issued by Admiralty,Britain, Is not in popular culture, many companies at the same time retained their badges that were in popular culture, these uniforms were always kept optional,Hence it is well understood that uniforms were exclusively made for Royal Navy ( Naval force ) and were optional for the administration of Merchant Navy in particular Nation,upon the companies and administration under which they serve.These uniforms closely resemble to those of the Royal Navy.Ratings/seamen were also given certain uniforms but could never come into popular culture due to lack in the part of shipping companies,there was no uniform in the Merchant Navy – merely a small lapel button with the letters MN on it. A sailors’ work clothes did not differ very greatly from those worn by peasants on land, except for the coat or jerkin in place of the doublet. Certainly there was nothing that could be described as any sort of general uniform which differentiated the seaman from the landsman, or even was common amongst all seaman, “every man dressed as seemed good in his eyes” Sailor here refers to ratings and seamen. Prior to 1748 officers, and captains of ships in particular, had worn what they pleased. It has been recorded that one captain had worn a plain black tailcoat and a white top hat. This type of headgear may seem out of place at sea but was commonly worn until 1850 or later. 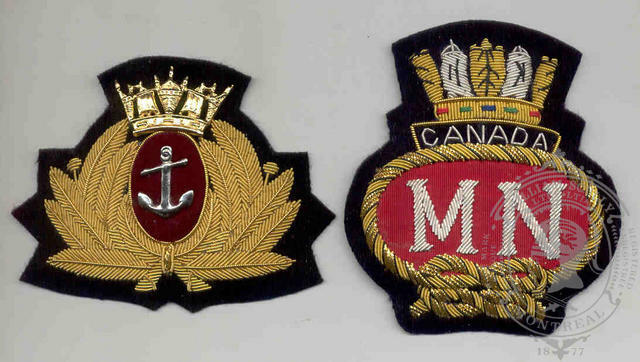 Merchant Navy Insignia issued in 1940s by Admiralty,Britain. 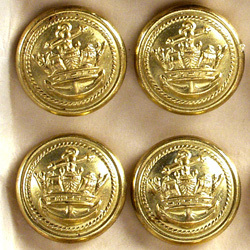 These buttons depict, how buttons were used in uniforms of a Merchant Navy Officer,these were similar to Royal Navy buttons. Buttons issued to Merchant Navy Officers. various kinds of badges were in popular use, but most popular ones were as depicted below,by commonwealth,of which India is also a part of. A very popular cap badge of British Tanker company, BP Shipping today. Companies often used to assign their own badges. cap badge issued by British Tanker Company, BP Shipping of today. CAPTAIN EDWARD SMITH OF RMS TITANIC. WITH FIRST OFFICER AND CHIEF OFFICER. 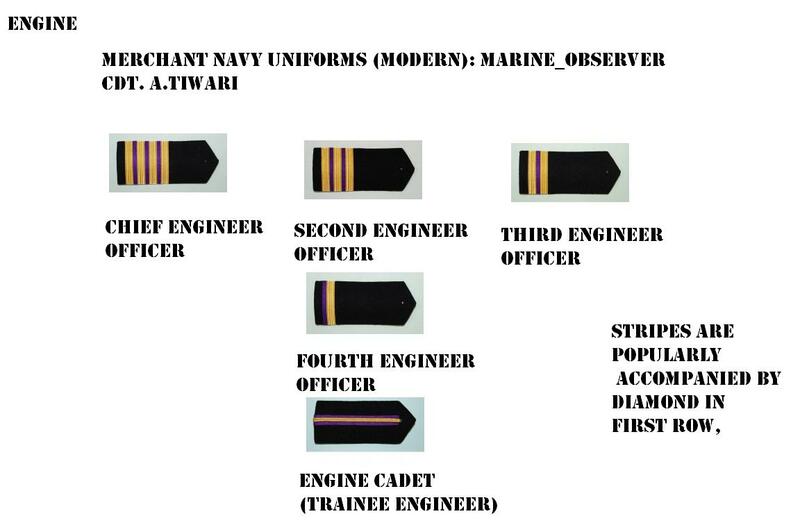 I have done a through study of Uniform trends in Merchant Navy since its inception, there are quite a few amazing facts regarding these uniforms and insignias. This article is written for fellow Seafarers and aspiring Seafarers, to know and understand the complex system under which the merchant navy works and demonstrates its golden stripes. 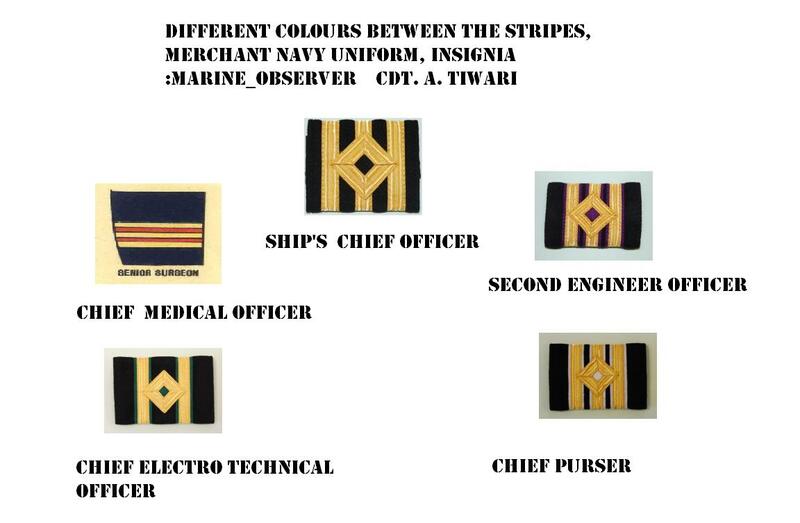 Different trades of Officers wear different insignia,although the basic system of stripes remains same for equivalent ranks on the vessel. This insignia is quite useful in identifying Officers from different trades especially on cruise/passenger ships where there is a large crew onboard. * DECK OFFICERS OR NAVIGATING OFFICERS OR SHIP’S OFFICERS : FULL GOLDEN STRIPES. NO COLOUR. * ENGINEER OFFICERS: GOLDEN STRIPES WITH PURPLE COLOUR INBETWEEN. * ELECTRICAL OFFICERS / ETO : GOLDEN STRIPES WITH GREEN COLOUR INBETWEEN. * MEDICAL OFFICERS : GOLDEN STRIPES WITH RED COLOUR INBETWEEN. * PURSER OR CHIEF STEWARD OR HOSPITALITY DEPT: GOLDEN STRIPES WITH WHITE COLOUR INBETWEEN. 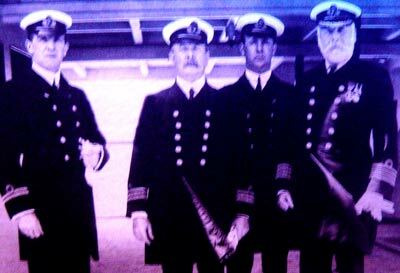 In 1865 it was decided that British naval engineers would wear a purple,that colour coding transferred to the British Merchant navy engineer officers,this is sometimes also said that it is a devoted symbol for engineers in Titanic with their purple boiler suits.This was particularly a Royal Navy thing in the past and later transfered to the British Merchant Navy, and came to India, as commonwealth Nation. This insignia is in popular,in Merchant Navy. Indian administration approves this insignia,as DG Shipping regulations state that diamond can only be used for Officers having certificate of competency (COC), Unless DG Shipping permits anyone to do so. This is a picture by The Nautical Institute, second Officer insignia, with stripes and diamond. INSIGNIA, DECK DEPT. WITHOUT DIAMOND. These insignias don’t have diamond, usually officers will have diamond at the first stripe. except trainee officers or cadets. insignia used by deck department, without diamond. Insignia used by engine dept. hardboard type without diamond. This insignia came into force in 1940 under the British, and during second world war, this uniform is extensively used.This consists of a middle diamond with side stripes,being denser with rank. Here as given in the picture the level of picture depicts his seniority level. Traditionally radio officers have been using the insignia as wavy stripes with a diamond in between, which as per seniority can go up to two stripes for senior radio officers. ANCHOR SHOWN HERE IN FIRST ROW OF GOLDEN STRIPES DEPICTS THE DECK DEPARTMENT/NAVIGATING OFFICERS AND PROPELLER ON THE FIRST ROW DEPICTS THE ENGINEER OFFICER’S INSIGNIA. These Kinds are usually used by USA Merchant Marine Officers. 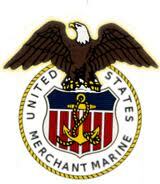 This is the official Badge of United states Merchant Marines. MODERN DAY UNIFORMS AND ACCESSORIES. Modern day Seafarers are not as what they used to be a 100 years back, seafaring today is not just about sailing, its about passion and pride. Merchant Navy Officers and Men are now getting trendy with time, hence Uniforms have now improved, and have attained a new level. With increasing fashion in the look and design of the uniforms. 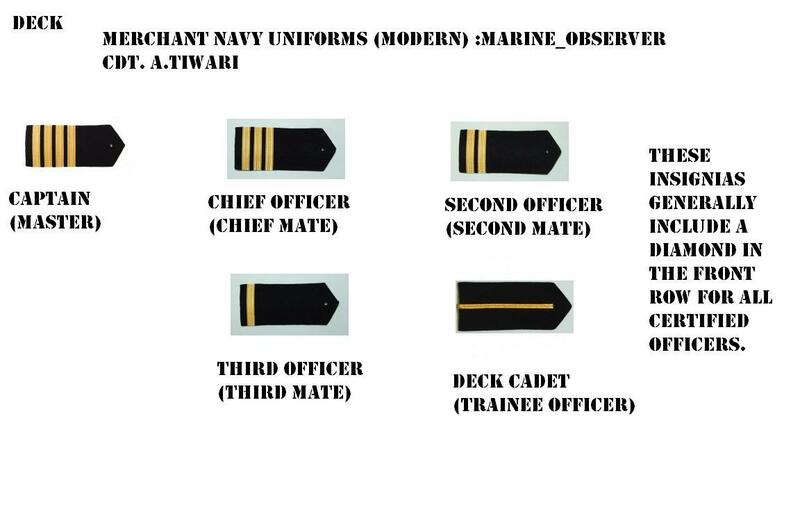 Most companies now don’t provide uniforms on board,hence it automatically comes up to the Officer what kind of uniforms he wants for himself within the code of conduct and trend.This poster created by me will help you to see what kind of Uniforms will suit the spirit and dynamic personality of a Merchant Navy Officer. all the content unless stated and except few pictures used are work by marine_observer. I am a hawsepiper USMM Oceans Master (1600 / 3000 GT/ITC & Master of Tow). I have been offered a commission with my son’s Sea Cadet Unit (USN JROTC). Many “Official” functions to attend in Dress Blues or Chokers. Want to put together an authentic uniform for myself that does not mis-represent but that also accurately represents my rank, status, and any medals I may be allowed to wear. First MMD in 1996 as Able Seaman. First Master’s License in 1998. Please help with how to square my dress uniforms away and where is the best place to purchase MIL SPEC uniforms, insignias, etc,, for USMM’s. I too am looking for authentic uniform items and am wondering what you found out and might share. My father was class of 1944 USMMA Kings Point and I am wanting to put together three shadowboxes (for my sister and two bothers). I will give the shadowboxes to them when he is buried with Honors at Long Island National Cemetary, April 26. Lighthouse Uniforms in Seattle (800)426-5225 has a lot of items (my issue is one of timing). Lighthouse Uniforms is no longer a timing issue. Ben, the manager, went above and beyond to ensure the order going out on time. It’s these kinds of people and businesses that make this country great. I am writing to you so much time that I am ashamed to email you this time. There is no reply of my single email. I hope this time you will give me kind answer. Handmade and Machine made Epaulettes and lot more as per your sample. is specialized in producing the exclusive embroideries for the UK ministry of defense, such as the Footgaurds, Blues & Royals, Horse guards, Yeoman of the guards. is a trustable & reliable your business partner in the field of badges & uniforms accessories. We are also manufacturing products for Military, Heraldry, Police, Fire & Rescue Services. We are currently supplying to our European, American & UK clients, with their requirements of embroidered products for Military, Heraldry (tunic embroidery. We also serve the Football, Golf & Yatch Clubs for their requirements of the blazer badges& Flags. Then please drop us an email or give us a call thanks. Pak Office 92 346 4020094 OR UK Office +44 7860 551 252 for information. Thanks. Professional Manufacturer, Exporter, Reproducer of Bullion Wire Badges, Uniforms Accessories, Leather Belt, Braid & Laces , Cotton Gloves , Leather Gloves & Accessories , Cotton & Leather Caps , T-shirt & Fashion Items. Capt. You can go ahead with the formal uniform that you used to wear,use the master’s insignia of US Merchant Marine, please put on the medals to be decorated, please put on a fouled anchor breast badge and you name plate! Belts and shoes as per your uniforms in formal! Great information and very well presented. if your interested in doing some bigger research related to maritime during your vacation do get in touch with me. 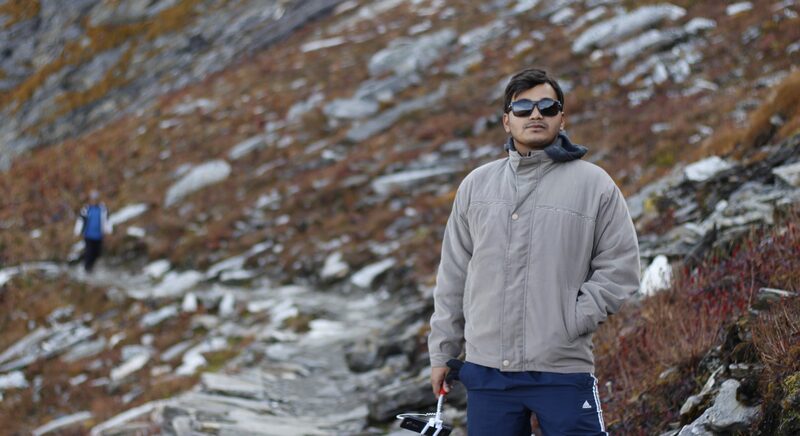 Capt P Madhukar. Thank you for your support sir, Would be honour for me. Its your call, whether you want to work with largest Engines of the world or else want to navigate the largest ships! It seems to me that many of txhe Merchant Marine (Merchant Navy as you call it) uniforms seem to mirror the respective country/flag Navy uniforms. Wish I can find out more of the respective countries and corporate insignias. This morning, I observed the Disney Wonder arrive in San Diego. From what I sould see. The Captain’s insignia looked to be from Italy, however I saw a 3rd Officer with a USMM insignia (1-1/2″ stripe below an fouled anchor). I overheard her talking-most likely American. 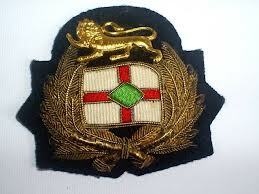 Later saw a 2 nd Purser Officer- Looked like Italian insignia. But later saw a 1st Purser Officer- looked American to me. Please keep me posted. I am fascinated with various insginia. Have a bit of a collection myself. Thank you! Please keep sharing your experiences,and would be great if you share your collections with us. In the Philippines, we patterned our uniform from the US (it could be due to our colonial past), but the only difference is that we are using the fouled anchor. Thank you! C/E Walter Dorward Campbell , Mariners are integral part of this global village concept, and we are proud to be mariners. Nice article, well done. It’s good to note the simplicity of the U.S. Merchant Marine Officer uniform. Shoulder boards & an American flag are about it. The number of stripes is all that’s needed to function efficiently aboard ship. Without all the added ribbons & such. I wear my Chief Engineer uniform proudly. Thanks very much for this. I work in a heritage team and we had a donation of a jacket and hat badge and this website has helped so much. Thanks again. Nice information, please I want. 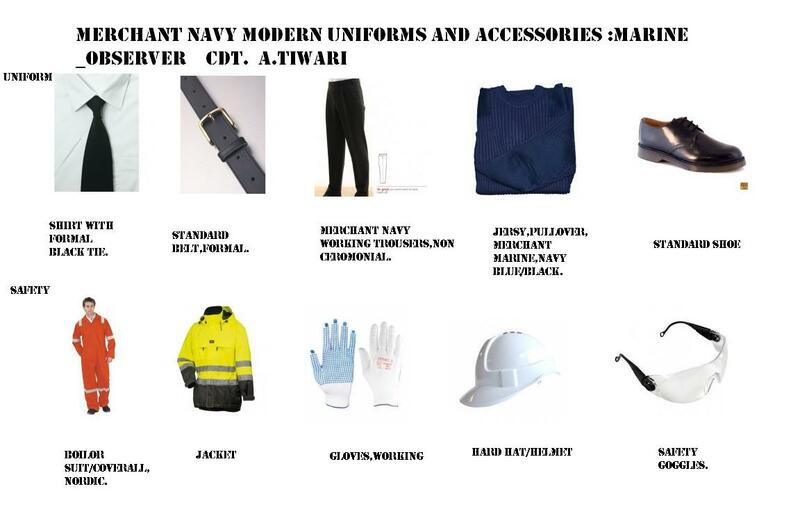 To know the official ceremonial uniform for merchant navy wedding and the colour. Awesome page.My dad was in the British merchant navy.I have some buttons and badges and am trying to find out the value of these.Are they collectable items etc.Where do I start? If you can post the photographs,would be helpful for us. G’day, I have two photographs I would like to your advice on but it appears there is no where to post them here. Do you have an email address where I could send them. Its in regards to buttons, cap badge and sleeve insignia. Manythanks. We can make all these items in best quality, Suitable prices.Our prices are much competitive. 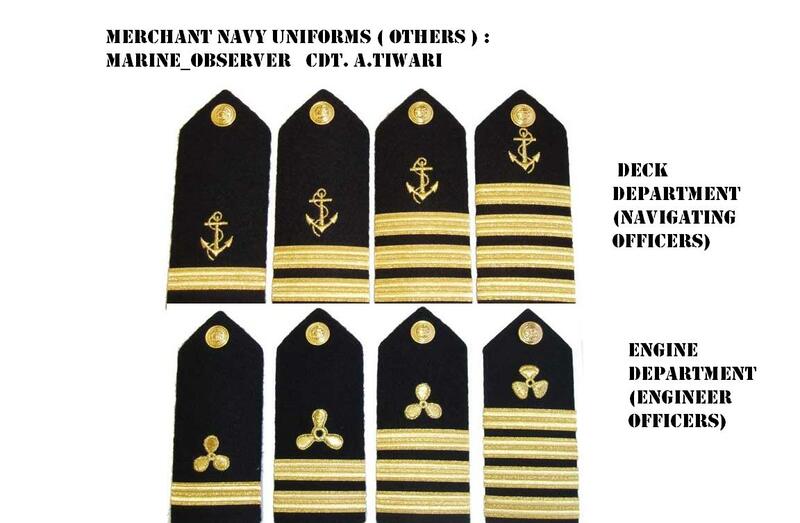 Please forward to me price listing for deck officers uniform for Captain/Master rank. Many candidates who are new to the merchant navy are not much aware about the different batches of the tags involved in the merchant navy uniforms. The students passing out from any institute like “Springdale Maritime Academy” known for the presea training, gets more interested about the attire and work culture in the ship. The uniforms are also made as such it gives great respect. Indeed, thank you for comments. Am looking for full Mariner Captains full dress uniform with the appropriate insignia. Please have a look at the images above. abhishektwr094@gmail.com mail me here please! what is the meaning of the color of cadet’s epaulet ? Deck cadet- No colours, its all golden. Engine Cadet- Purple colour in between. ETO cadet- Green colour in between. Medical if applicable- Red colour in between. Oilers too form the part of the ratings on the ship, and the uniform designated for ratings,will be applicable to oilers too. In modern Merchant Marines oilers dress up in their company Boiler suites. Well, the USMS was disbanded not long after WWII. They had a standardized uniform for the USMM which is pretty much USN with a spin. Now the research says unless you are graduating from the Academy day then you wear the uniform your company decides on. I am going to just get USN MIL SPEC duds and put the USMM / USMS insignia’s on them. I saw MSC had a set of insignia’s but I am not MSC any longer. If an officer approaches me and gives me any lip then I will tell him to find me the specs in the MILPERS manuel for USMM uniforms and I will be glad to comply. Until then just continue taking a dump on the USMM. USMM’s from the WWII generation are just now being recognized for their service. I was on “missile lock” with everyone else on my ship by our friendly neighbors of the Persian Gulf. What do I get for my service? A USMM job market that is in the toilet. 25 year USMM driving truck to feed his kids. Look up USMS uniforms on google. They have pics for Officer and Enlisted. That was what the WWII seamen wore. What the Academies wear are pretty much just for Academy dress. Except for the staff that is. They still wear the USNR patch no matter what academy if the Midshipmen takes a Commission in the USNR. Quick question would there be a reason why a Merchant captain would be wearing a Royal Navy uniform? Picture I have is from just after the Second World War. There were certainly some designated uniforms to be worn by Merchant Navies of some countries, but by large it has not been a structured and complaint thing.Since there is no rigid authority to keep a watch, and this gives shipping companies a liberty to use uniforms of their choice. Just like the USMS the Royal Navy had their own “Merchant Navy”. I don’t know if they are still as formal as they were in those days. I have sailed “work boats” for the last 25 years all over the world in many different aspects of the USMM industries. The only time I see a Merchant Officer of any flag state in dress uniform is in “service related” industries. Most USMM’s on work boats look like a homeless guy that just crawled out from under the bilge plates. And if you do get a uniform some idiot “Port Captain” that doesn’t even have a license makes a uniform choice that makes the Captain or his Officers look like bus drivers or airline pilots. The reason you can not find “modern” uniform standards for most flag state merchant mariners is there are none. Disarray just like our industry. Why pay a man a living wage when you can get a 3rd world sailor to sail for pennies on the dollar? Even Military Sealift Command pays chump change unless you are an “A Book” with AMO. Our own Country expects us to spend 3-6 months away from our families at sea for minimum wage or less if they can get away with it in the Articles wording. I am so disgusted I will just stop now. This is the reality and you have to accept it, since this service is unique and you are working for the world at large, someone may not acknowledge the great services Merchant Navy has provided and continues to provide the world. We are rendering a selfless service for centuries,staying away from loved ones for months together. This is what makes us unique, a proper recognition of Merchant Marine is need of hour,I agree! What is the right uniform for Radio officers or vts personnel’s in ports? Thank you for the reminder, yes now I have updated the insignia for Radio Officers. Very interesting article. Incidentally, welcome to Virtual Vitamins. May my words bless and encourage you, as I’m sure your words bless many. I could be seasick on a lake, so this was interesting to read, as I would never have been any good in any navy. Nicely presented information. It would’ve helped me with a novel I wrote 5 or 6 years ago! I hold a 100 ton Masters lic for 200 miles offshore. Can I wear the MM officers uniform while running my tour boat? If you interested contact us with some trial order , prices or question. Hello everybody. Great article I read with interests and joy. Actually since Oct 2017 I am naval student at Enkhuizen Nautical College for Ships (Square rigged tall ships) for CoC (KZV – Kleine Zeilvaart for 500 GT sailing ships) – and hopefully in 2-3 years I can make it there also the captain’s patent for GZV (Groote Zeilvaart for 3,000 GT sailing vessels). I am very interested to get more details about in Uniforms in Merchant navy of Netherlands. The Dutch are one of the best seafarer nations, worldwide, with very high educational standards. And a very long tradition, similar to the British navy history. – But googling about Dutch uniform tradition didn’t gave me any access to. – Any hint you can give ? Here an old photo about the sail training eduction beginning 20s century in Amsterdam we can see instructors in uniforms … with training cadets on land based so called “instructieschip”. It follows the long tradition of the Kweekschool voor de Zeevaart(Dutch) which was founded in Netherlands end of 18th century, the first European school for naval education which started in the year 1785. 2nd question: Where to get such a uniform ? – If a sailor is working in this segment of merchant navy (actually we also have a trend for using traditional sailing ships again for “Fair Trade”, google for EcoLiner), mostly its a limited working contract for one season (4-6 or maybe 9 months), working as 1st mate/officer, engineer or deckshand. So he has to buy (and pay) on his own for such a uniform. Do exist “hand made” tailor companies who are specialized for such uniforms ? Tks in advance giving more orientation in details. Warm greetings from Hanseatic City Hamburg (North Germany). My father served in the Merchant Marine in WW II as a Liberty Ship Doctor/Purser in the Pacific. He has spent the remainder of his life in full-time church ministry and will, this August, celebrate his 100th birthday. His wife, my mother, passed away at 98 years of age five years ago. He remains in good health, clear mind, lives on his own and continues to teach a weekly Sunday School class at the church which he has served for the past sixty-four years. We are making plans for a celebration for his 100th birthday and would like to highlight his service in the MM. How would we go about obtaining an official, doctor/purser uniform, any kind of documentation pertaining, perhaps even commendations from the service and/or MM chapters or from MM headquarters? Any kind of assistance would be greatly appreciated. It was a knowledgeable blog, got some useful information about uniforms and badges.